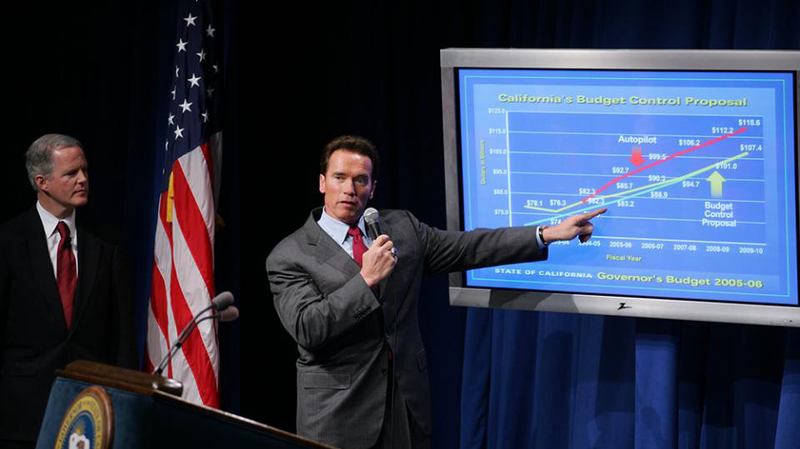 Governor Schwarzenegger believes that government, like families, should live within their means, and create a rainy day fund. His approach to public policy is one of balancing the need to protect consumers with the need to support economic growth by not overregulating businesses and entrepreneurs. Let’s Have an Honest Debate About Immigration in the U.S. These days studio chiefs insist that filmmakers they work with take advantage of out-of-state incentives to lower production costs, which on a single major motion picture can amount to savings of tens of millions. Institute Chairman Arnold Schwarzenegger visited San Francisco on June 6th to take part in the World Economic Forum's annual Industry Strategy Meeting. For the first time since Los Angeles County was established in 1850, three women hold its top positions of leadership. The USC Price School of Public Policy’s Athenian Society hosted those women. This years’ “Dean Speaker Series” focused on “Great American Cities” and in the final session of the semester looked at the role women leaders play in this success. Tax Conferences honors 100th Anniversary of the 16th Amendment.